Wonderful Penthouse condo with 2 bedrooms and 2 bathrooms overlooking the golf course. The architectural plan creates large spaces in the living room, wide cross ventilation, high ceilings, large open terrace and a guaranteed view for life make this condo an excellent option to live permanently and / or rent it for return on investment. 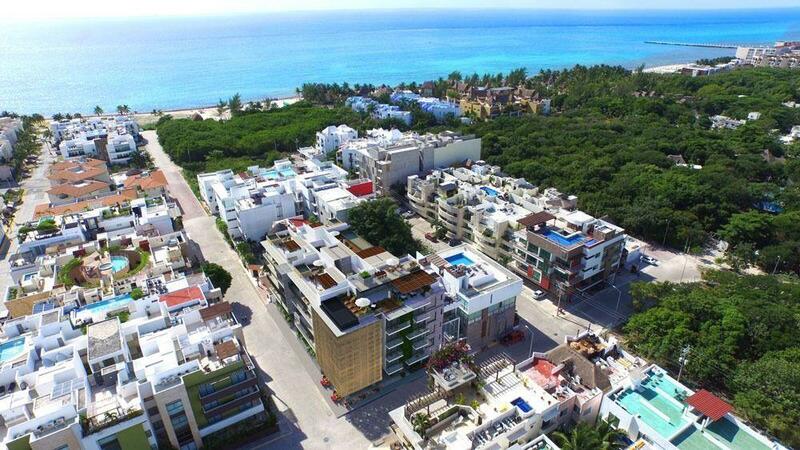 Enjoy great moments with friends and family in the common area with a large pool and an excellent location just a few minutes from the shopping area, restaurants, turquoise beaches and all the amenities that Puerto Aventuras has to offer.